“Networking used to be pretty much its own little silo,” said Jim Frey, VP of research, network management, at Enterprise Management Associates. 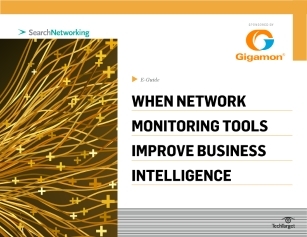 But now, there are tools that provide visibility into the role networks really play -- a central role that directly affects business intelligence and enterprise productivity. This expert e-guide highlights new emerging monitoring strategies that tie together cloud provisioning and service and application delivery. Discover how creating a clearer view of application performance can help you improve business processes, and explore the various tools that are part of modern networking strategies. Plus, learn how virtualization, software-defined networking (SDN), and converged data centers will impact the future of networking and application performance by reading now.